A photograph showing the hut complex built by Robert Peary using materials scavenged from the demolished Lady Franklin Bay Expedition house. Peary’s objective was to reach the North Pole. Following the Lady Franklin Bay Expedition’s tragic outcome, Peary took a new approach. He depended heavily on Indigenous knowledge and technology to reach his goal. Reach the geographic North Pole. 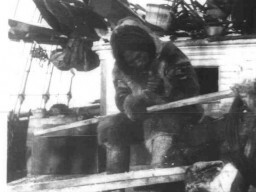 Peary brought entire Inughuit families from north Greenland with him to Fort Conger, with the intention of creating an indigenous colony that could support him in his efforts to reach the North Pole. 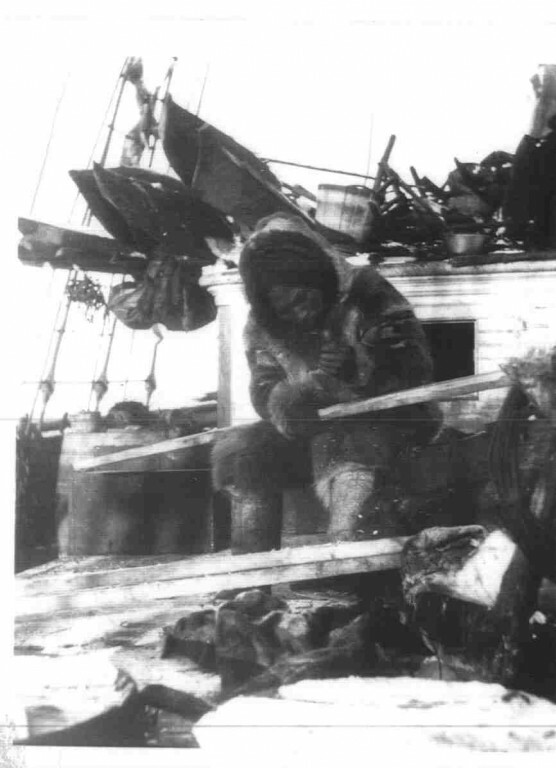 Rather than rely on Western methods unsuited to polar environments, Peary relied on their skill and environmental knowledge to live off the country. This involved using Inughuit techniques of travel, shelter, hunting and clothing. Instead of reaching Fort Conger using ships, as had been done by the British Arctic and the Lady Franklin Bay Expeditions, Peary organized a series of sledge-trains along the east coast of Ellesmere Island. 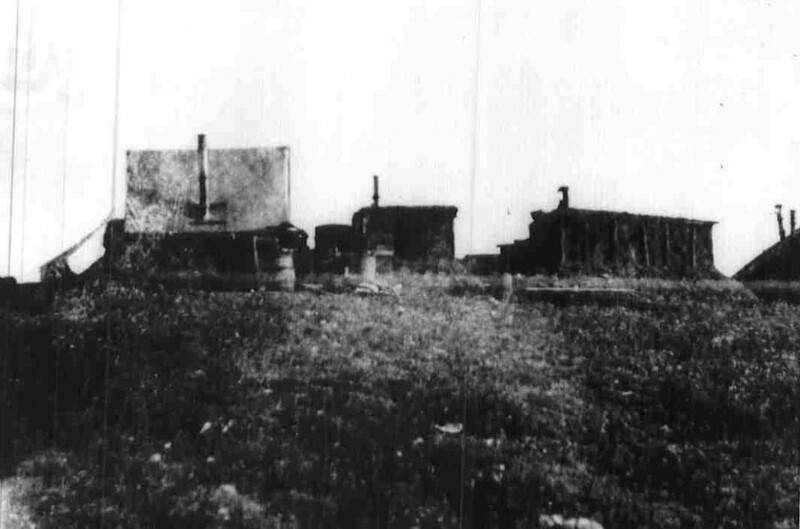 These trains moved precious quantities of food and raw materials, establishing caches and snow houses in their wake that could be used by subsequent trains. Peary, along with surgeon T.S. 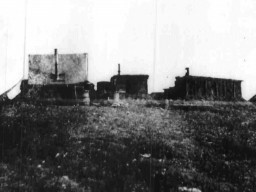 Dedrick and long-time companion Matthew Henson, reached Fort Conger on January 6, 1899, with four Inughuit men – Uutaaq, Iggiannguaq, Ukkujaak and Sigluk. Forcing the entrance and lighting our oil stove. [I] found the interior presenting the utmost confusion. Floor of both officer’s and men’s quarters and kitchen blocked and littered with boxes, packed and empty. Pieces of fur, cast-off clothing, rubbish of all descriptions. In the kitchen, partially consumed tins of provisions, tea, coffee, etc., were scattered about, their contents spilled on the table and floor. In the men’s quarters dishes remained on the table just as left after lunch or dinner on the day the fort was deserted. Biscuits scattered in every direction, overturned cups, etc., seemed to give indications of a hasty departure (USNA. 1899). Even though Peary and his men used the abandoned Greely house for shelter over the next year and a half, they eventually disassembled it. Using materials from the original structure, they constructed three semi-subterranean houses that were framed with wood, and insulated with tar paper, paper record forms, earth, turf and snow. These three structures were interconnected via a series of excavated snow tunnels roofed using snow, hide, and canvas. Unlike the large spaces contained within the Greely house, the smaller and more compartmentalized hut complex was much easier to heat. 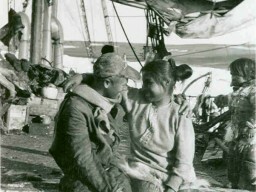 In this way, they had much in common with traditional Inughuit dwellings. Peary’s heavy reliance on Inughuit knowledge and technology would come at a heavy cost. His determination to reach the North Pole resulted in interactions with Inughuit that were often both patriarchal and hierarchical. 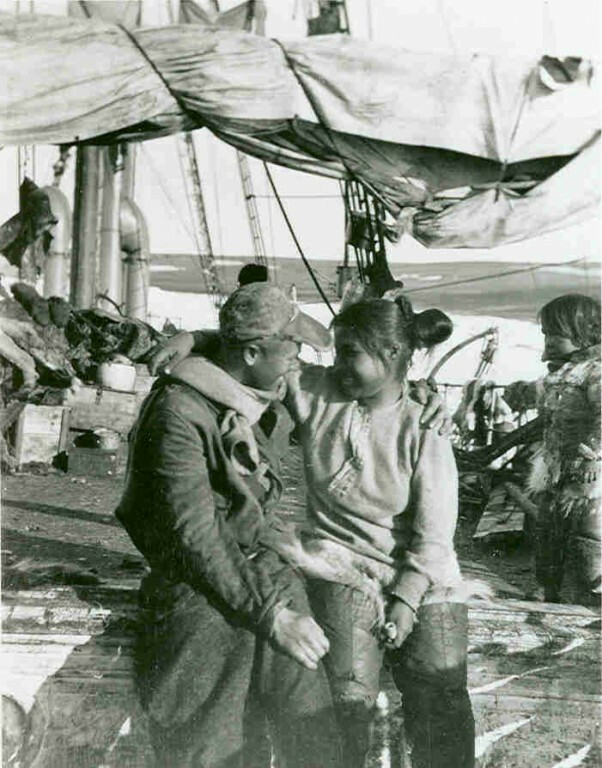 These social tensions, coupled with the fact that Inughuit families had been separated from their loved ones in Greenland for prolonged periods, resulted in severe psychological stress. Strenuous labor, sexual abuse and exploitation of women, noise curfews and rationing only made matters worse. Sadly, Peary saw the value in Inughuit knowledge and technology, but could not see past the imperialistic belief of non-white inferiority.